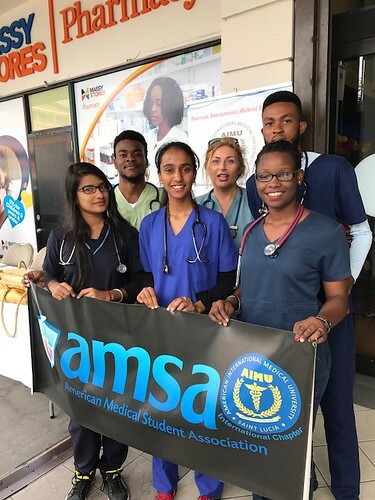 AMSA-AIMU chapter was glad to have the opportunity to collaborate with St Lucia Diabetes and Heart Association on May 17, 2018. The Water Fair took a place at Rodney Bay Mall from 9 am till 4 pm. Twelve students from our school had a great learning experience at this event. We were applying our knowledge while practicing the best communication skills we learned at school. There were so many different clinical situations the students had to work with! The medical students were very engaged with visitors and took the time to listen and answer questions. We had a day full of memorable experiences at the fair. Thank you Diabetes and Heart Association for allowing us to be a part of your team.